Midify is a MIDI experimenters lab that can translate standard MIDI data into USB connectivity to and from computer based MIDI applications. Midify is a MIDI experimenters lab that can translate standard MIDI data into USB connectivity to and from computer based MIDI applications but also allows for optional standard 5 pin DIN MIDI connectivity. 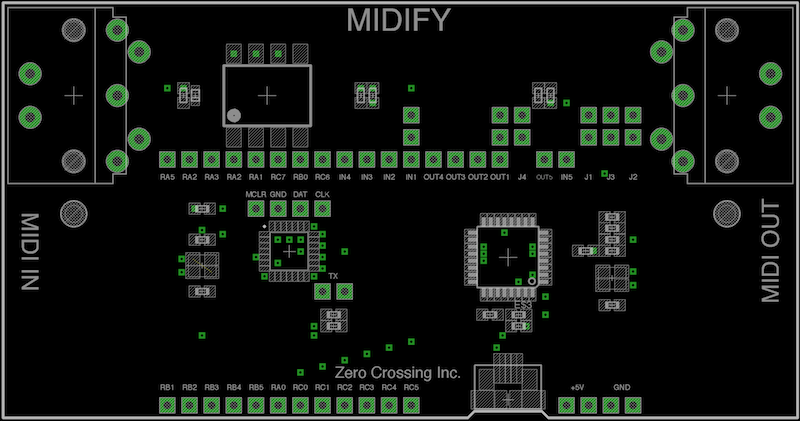 Midify also contains a powerful and programmable microcontroller, running at 16Mhz, that allows for your software developed MIDI programs to either generate your MIDI data or for developing shields (e.g. theremins, sequencers, sensor to MIDI hardware peripherals) for custom applications. Each pin on the microprocessor as well as all I/O and MIDI protocol settings are broken out for a completely customizable environment. There is a dedicated, hardware UART pin on this processor for jitter free transfer of the general MIDI standard of 31.25Khz. 4 MIDI, simultaneous inputs and outputs are available. 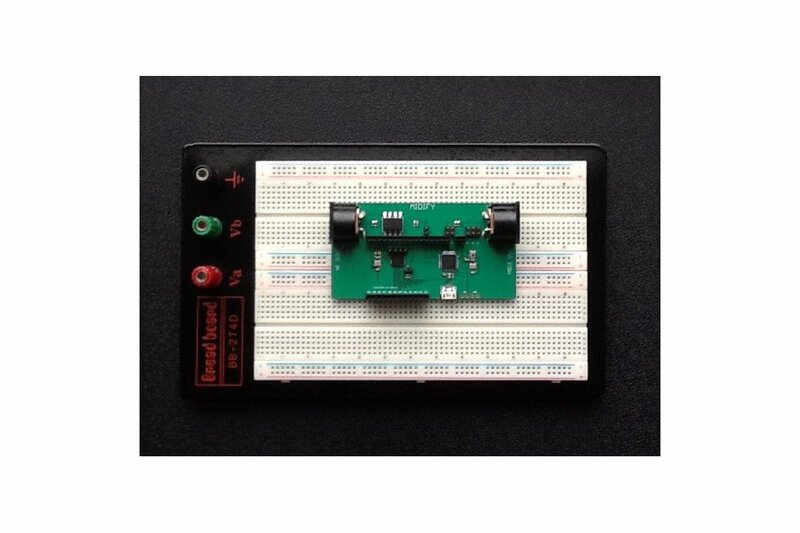 Taking a look at Figure 1, we find 4 pins available for programming the microcontroller. These pins are marked: MCLR (programming voltage), GND (ground), DAT (data), CLK (clock). Note that jumper marked ’TX’ connects the micro controller’s ‘out’ directly to INPUT 4. This is your ‘Hardware UART’ pin on the PIC microcontroller. Any Microchip PIC programmer will facilitate the programming of this controller. Pads RA0 through RA5, RB0 through RB5, and RC0 though RC7 are the available I/O, all broken out on board making 20 inputs and outputs available for microcontroller tasks. The MIDI processor allows for 4 inputs and 4 outputs marked ’In’ 1 through 4 and ‘Out’ 1 though 4. 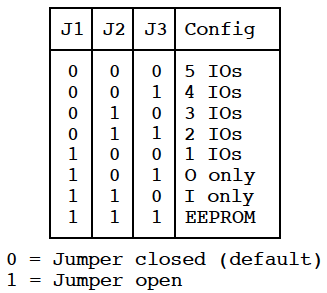 These same I/O’s are controlled by a series of jumpers marked J1 though J3. Looking at Figure 2 we see a representation of the 3 jumpers that assign how many inputs and outputs we allow. Above IN1 we see an available jumper. If jumped, the standard (5 pin DIN connector) MIDI IN connector directly will connect with input 1 (IN1) of the MIDI translation chip. The jumper above output 1 (OUT1) if jumped will directly connect the standard MIDI OUT connector with output 1 (OUT1), as well. Midify’s header pads are breadboard friendly (although the width of the board will not allow for the use of the ubiquitous, smaller breadboards. A wider breadboard will be necessary if your object is to connect to these pins via jumper wires). We are currently only shipping in the continental US. 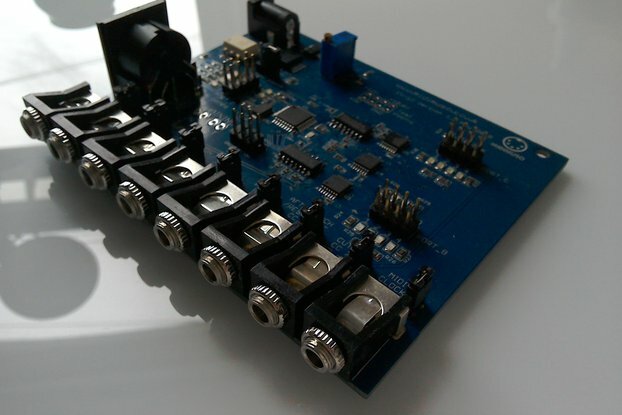 Please note that the 2 Standard MIDI female, 5 pin DIN connectors shown in the pictures are NOT included, but you can buy them here. Since we don't know the buyers ability with soldering and once any modification of the board has commenced by the customer, there will be no returns of Midify. *Please note that all USB power availability is limited to ~500ma. Considering the power usage of Midify, that will still leave plenty of headroom to allow for most peripheral circuitry support save for power hungry devices such as motors. **Note that Jumper 4 (J4) is closed (which is the default) and replicates the MIDIBOX configuration for those familiar with this protocol and if left open replicates the PLOYTEC configuration (who manufacture the MIDI conversion chip). Since this board was designed, PLOYTEC shelved this choice and this jumper should be left open.